day 162 and today i am participating in my very first handmade gift exchange. before pinterest i had no idea such things even existed! this handmade gift exchange at craftaholics anonymous is the one i told you i had signed up for a couple of weeks ago and today's creation is making it happen! linda has organised over 900+ people into handmade gift exchanges ... for that reason alone i adore her, let alone the fact her website is full of AMAZING inspiration! this inspiration was pinned to my gift wrapping and gift ideas board on pinterest. 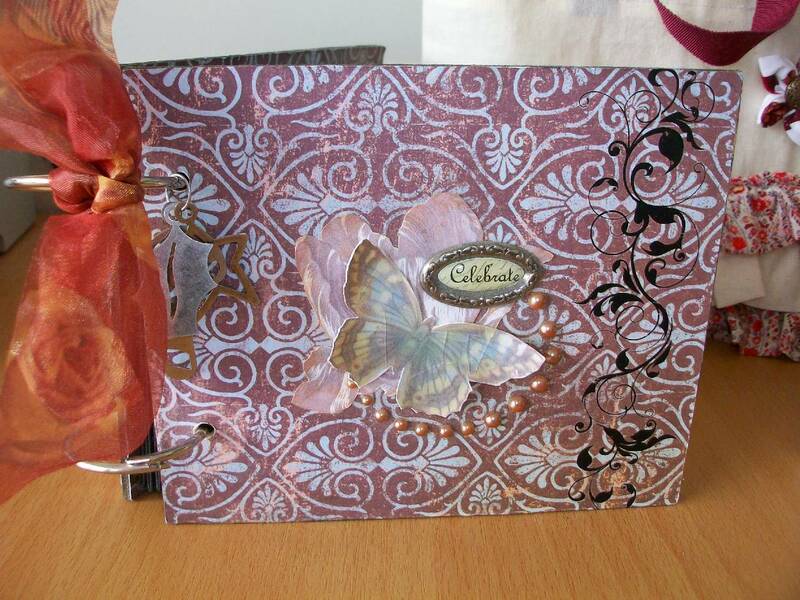 my gift partner is michell, another new zealander who lives in gisborne. 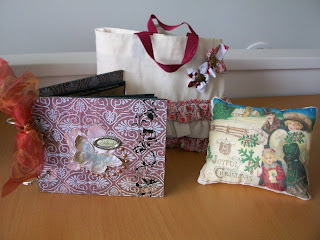 this is a totally intimidating process for me as michell has a gorgeous blog, sews amazing quilt blocks, and to top it all off she does heaps of craft exchanges. enter me the novice! clearly i can't sew for this girl (i'm still working on the straight line issue) so i went with a paper gift. 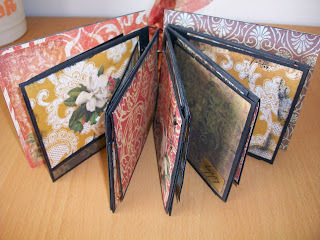 i ended up making a vintage style photo album for michell so she can fill it with her christmas photos. i noticed she had a christmas countdown on her blog and hoped this was a sign she was into christmas (actually her blog was where i got the idea to put my own christmas countdown on ... thanks michell!). 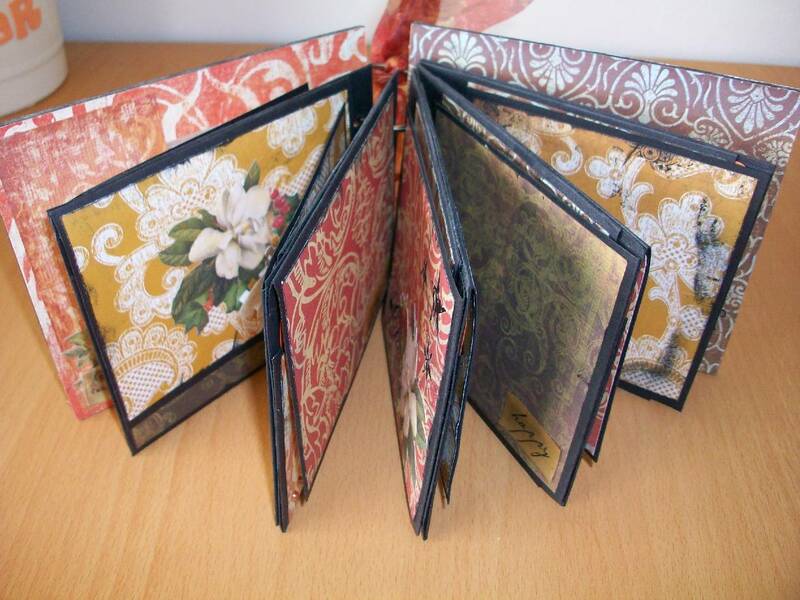 the album is full of flaps and places to attach photos and also tags for journalling. 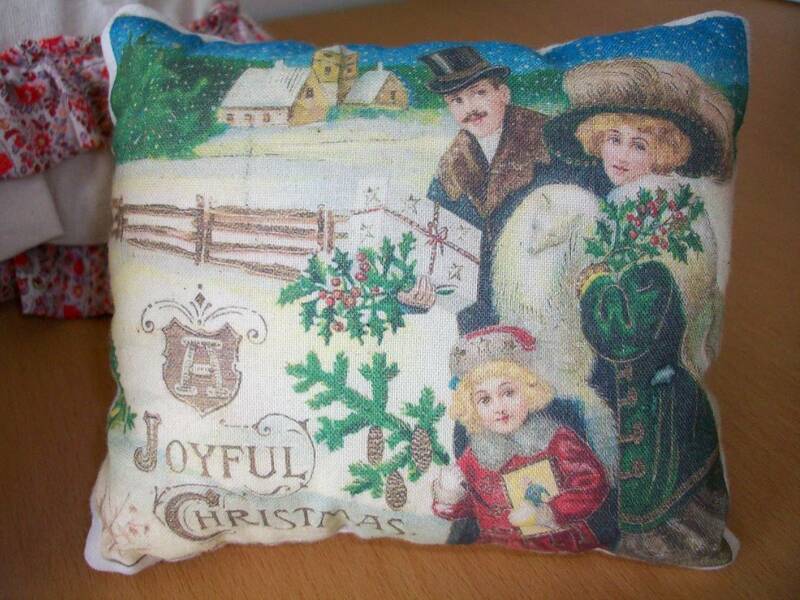 i did end up also putting in a little vintage christmas cushion (image thanks to the graphics fairy). i made the cushion a while ago and it seemed to go perfectly with the little album. both things have gone into the little gift bag i made on day 160. i really hope she finds them useful and a little something different to what she normally receives. outcome: pending! i will send them off today (my sweet mum purchased a mail bag for me as it's no spend november!) and hope that she likes them. entering into this has been somewhat terrifying but it is such an awesome way to meet crafty people and make new friends. 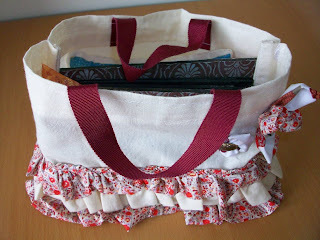 what could be more inspirational than meeting more lovely crafters and seeing all their lovely ideas. this is something i NEVER would have found or done had i not been addicted to pinterest! What a great idea and I am awed that 900 people are involved! Wow! Your album is gorgeous and you need to stop ragging on your sewing skills - you've got me well beat in that dept!